This projects was initiated as part of a community bicycle storage rack competition. The designs generated below were inspired by the sustainable nature of bicycles as a form of transport. 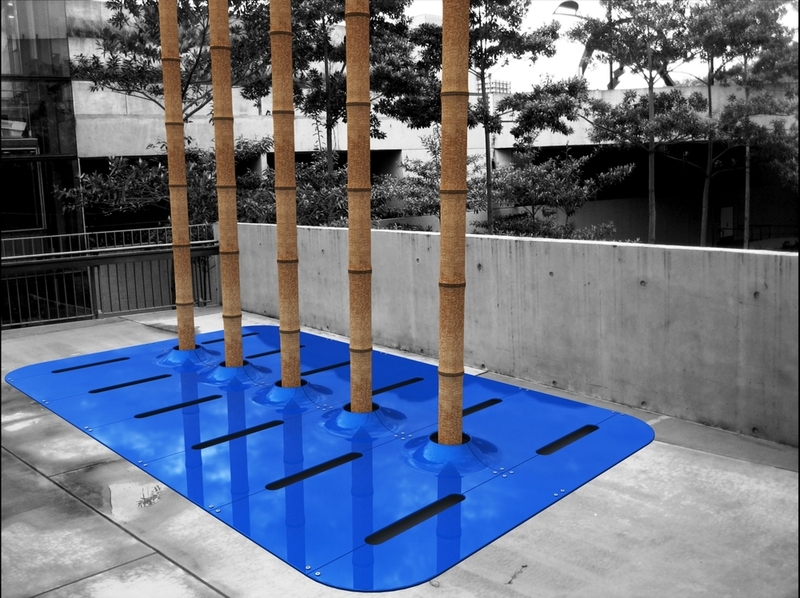 The first concept called "Ripple" referenced the Brisbane River, which could be found a short walk away from this conceptual installation. The second concept called "Lifecycle" used living Bamboo to provide the vertical pole structure onto which the bikes could be secured. Bamboo is a great plant that is fast growing, strong, difficult to cut and does more than its fair share in absorbing Carbon Dioxide. The last concept was called "optOmism" and it considered how we could use and recycle old car tyres to support the needs of a more sustainable transport rather than adding to land fill.